It’s that wonderful time of the year again where everywhere you look there are year-end roundups. So, of course, we had to join in the fun! We’ve compiled a list of our favorite New York theater experiences of 2016, in the order in which they opened. Peruse our picks and see if yours made the cut. This delectable Roundabout production had it all: a classic Bock and Harnick score, a stellar starry cast, and a dazzling Tony Award-winning set. What wasn’t to love? 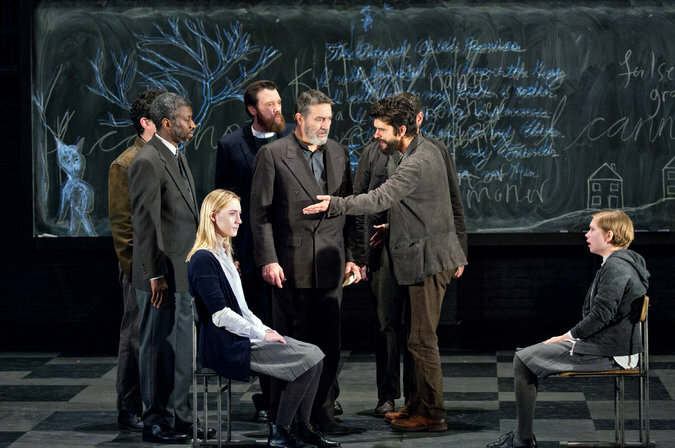 Tony Award-winning director Ivo Van Hove somehow managed to make this classic Arthur Miller witch hunt even scarier. This chilling production left us spooked and satisfied thanks to the concise direction, impeccable cast, and haunting sound design. 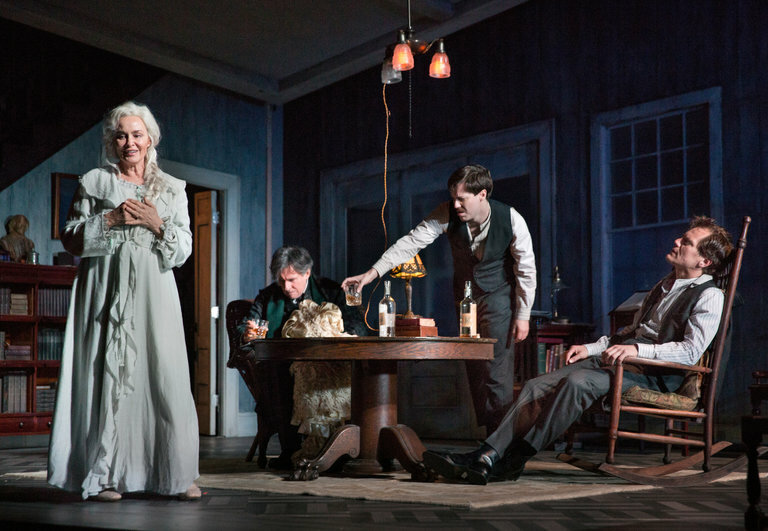 A tour-de-force by all involved, the Roundabout revival of Long Days Journey Into Night was simplistic but powerful. It’s no wonder Jessica Lange won the Tony Award for Best Performance by a Leading Actress in a Play. 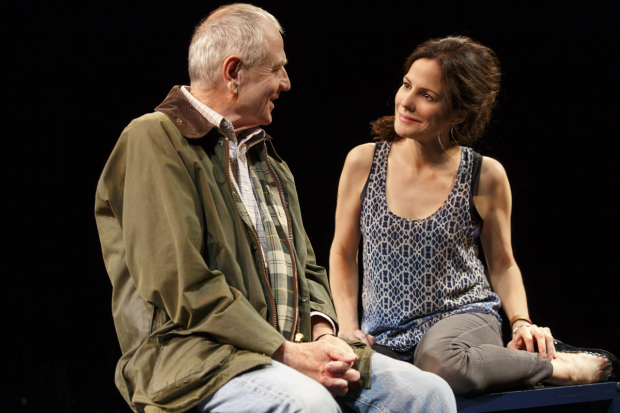 An unconventional, but surprisingly sweet and candid portrait of two damaged people crossing paths, Heisenberg’s minimalistic approach made this special play all the more moving. Okay, we were charmed. Oh, Hello was the most fun we had at the theater all year. 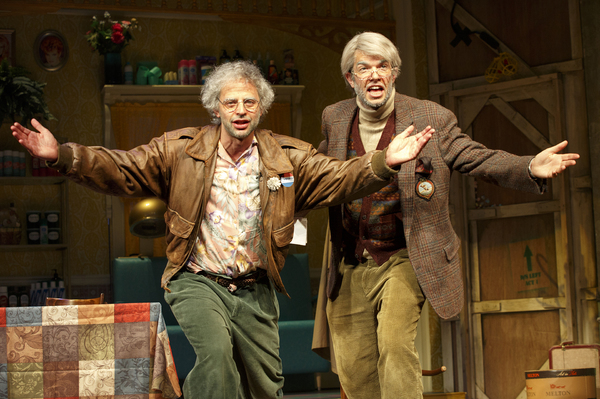 Nick Kroll and John Mulaney knocked it out of the park with this quirky hit. 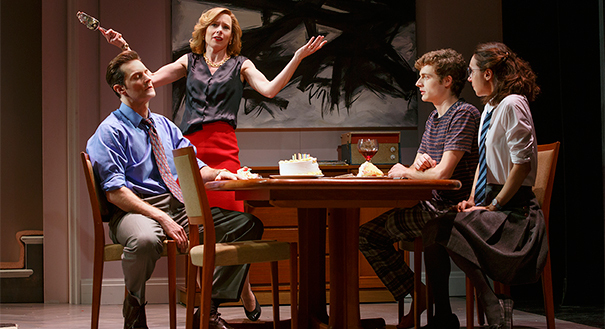 Mike Bartlett’s play about the trials of partnership through changing decades (and family dynamics) was easily one of the sharpest comedies of the year, and we ate it up like that cake in the second act. 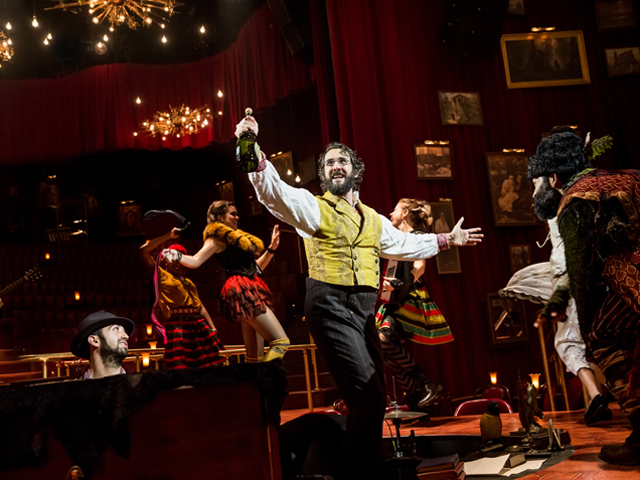 Natasha, Pierre & the Great Comet of 1812 made an impressive transition to the Great White Way this fall, maintaining the dazzling, intimate magic of its prior incarnations while giving us the magnificent Broadway debut of Josh Groban. 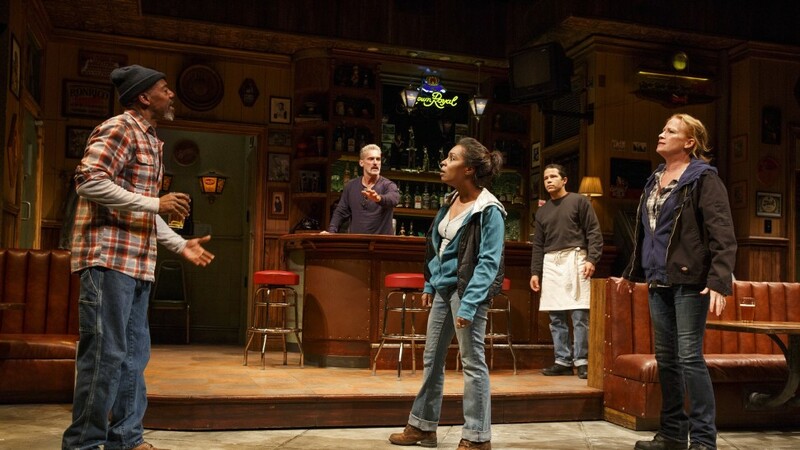 Lynn Nottage’s eye-opening play about a group of working-class Pennsylvania neighbors struck a chord with audiences this year, and we’re very excited to see it transfer to Broadway this March. This world premiere by David Yazbek is a fresh and revelatory theatrical experience. 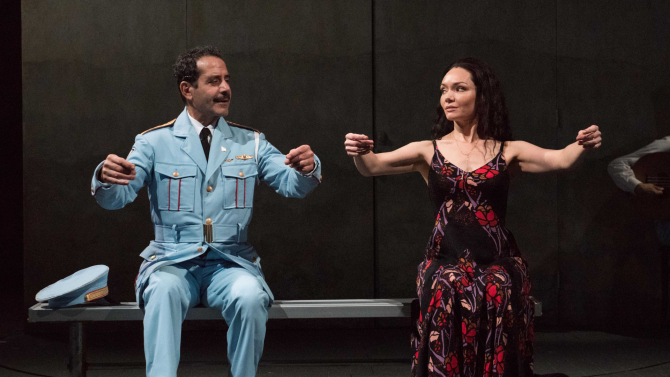 Yazbeck seamlessly turns the rhythms of the Middle East into wistful Broadway ballads, sung by an exceptional cast including Tony Shalhoub, Katrina Lenk, and John Cariani. 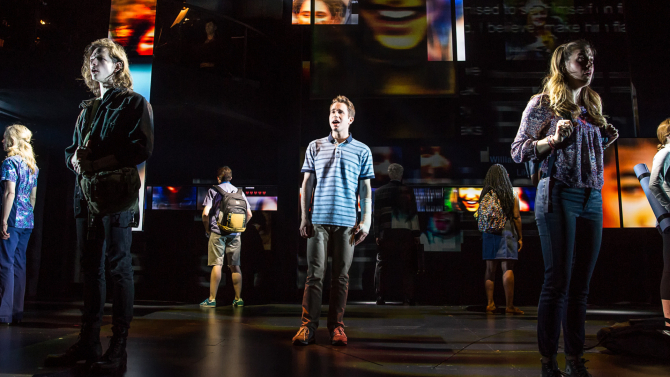 Ben Platt gives a powerful and affecting performance in the lead role of the new Pasek and Paul musical about feeling like an outcast. A relatable and heartfelt production poised for great success. 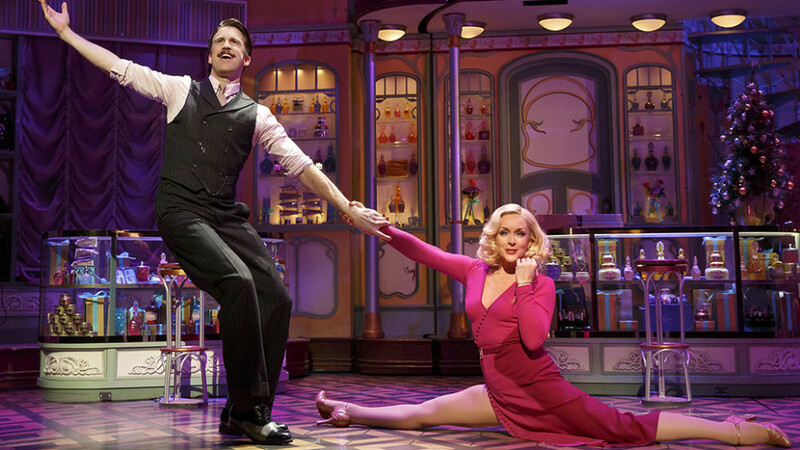 What were your favorite theatrical experiences this year? Let us know on Facebook or Twitter!